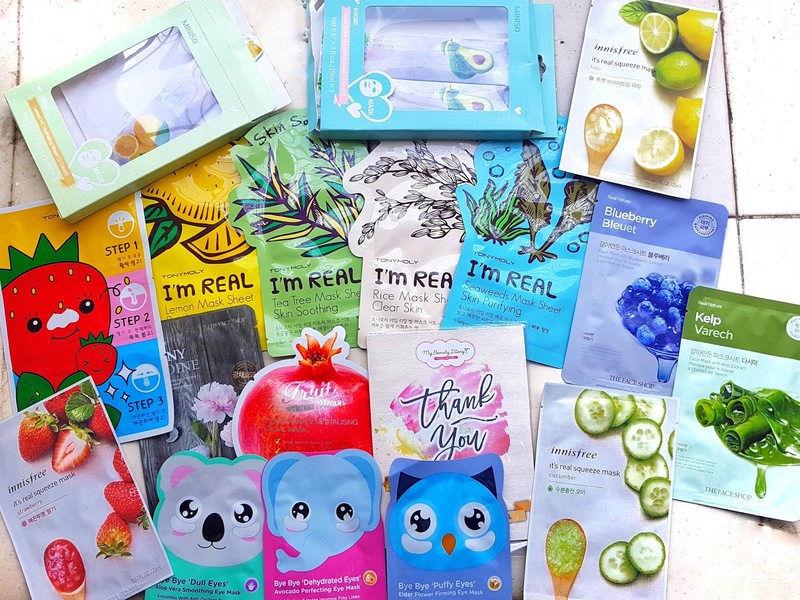 Korean Sheet masks are the latest beauty obsession in the market. They are very convenient to use unlike facials, spas or other skin treatments which takes long hours. Sheet Masks are basically thin cotton sheets pre-soaked in concentrated serum which is meant to address various skin concerns. Unlike other masks or creams, it penetrates deep within the skin to impart a dewy glow after every use. Here are the top five reasons you should include them in your beauty regime. These sheets are very convenient to use and easy to carry anywhere. Also, you can give your skin a boost of hydration in just 30 mins instead of going for spas and treatments which has longer process and takes time to show results. In my personal experience, I find sheet masks to be a quick fix for all skin concerns. These soft sheets are drenched in serum which penetrates deep into the layers of the skin and results can be seen from first use itself. In order to see its benefits, it is very important to choose the right variant for a particular skin concern. There are many brands available in the market and have a lot of variety to choose from. Natural ingredient based masks like honey, rose, seaweed, tea tree, lemon to more advanced solution based masks including Hyaluronic Acid, Vitamin C, Collagen, Snail Slime, options are tremendous. Also, there are masks available for targeted skin areas like eyes, lips and nose. 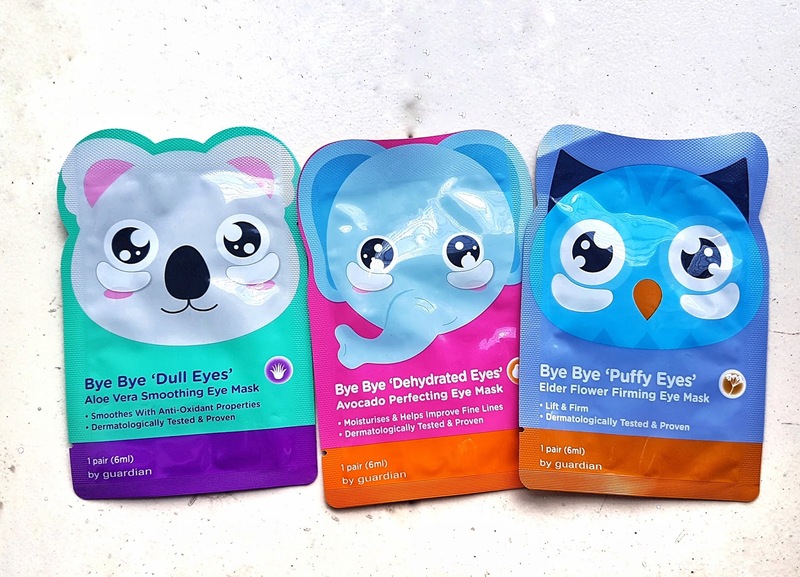 Unlike Facial treatments and Spas, these sheet masks are very affordable and you can stock up all of them in one go. In India, these masks are available in the range of Rs. 100 to 250 each which isn’t heavy on pocket. Also, Nykaa runs many regular offers like Buy 5 Get 5 Free/Buy 7 Get 7 Free which is a steal deal. Regular use of sheet masks can bring visible difference to your skin in no time. It improves the elasticity and hydration level of your skin tissues which helps in overall skin health. To experience it yourself, try your hands on some of the good brands available in the market like Innisfree, The Face Shop, Dear Packer and Tony Moly. Do let me know your experience with this K-beauty product and other goods brands which you have used. 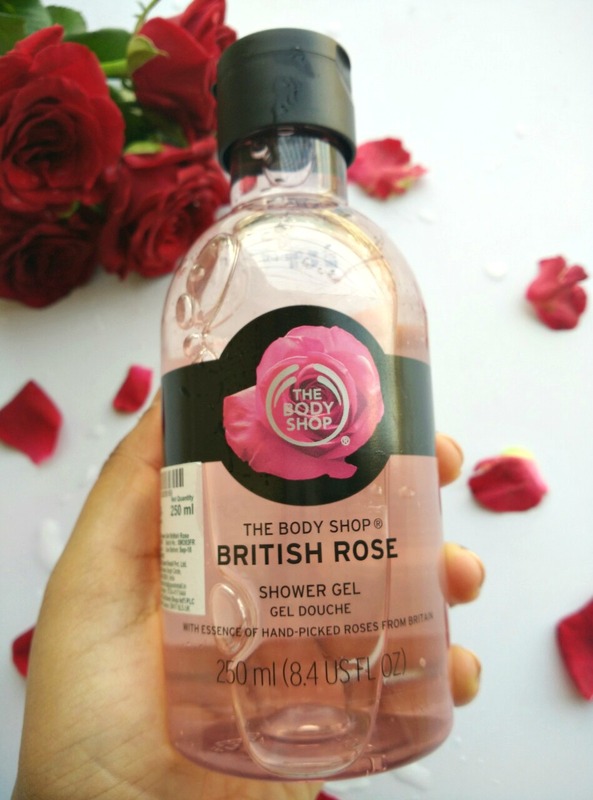 Today I will be reviewing a newly launched British Rose Shower Gel from The Body Shop British Rose Collection. To be honest I am a big fan of their shower gels and have tried all of them. It’s been a month I am using this one and have found it great for people who likes mild floral fragrance. The British Rose collection is infused with the essence of hand-picked roses from Britain. 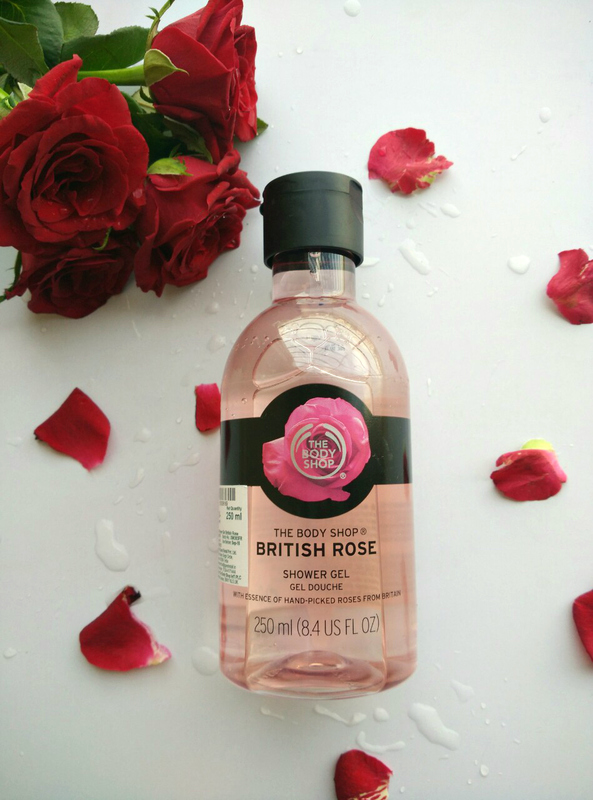 The Body Shop British Rose Shower Gel comes in a light pink and black combination transparent bottle with a sturdy cap which I think is a very chic packaging. Also it has a pleasant rose fragrance which is very feminine unlike other rose products available in the market with strong and overpowering rose scent. I generally use this shower gel with my Body Shop bath gloves as it lathers well with less quantity when used with loofah or gloves.I love how refreshed and clean this one makes me feel every time I use it. Since the fragrance is very mild it doesn’t linger onto the skin for long. It doesn’t make my skin feel stretchy or dry after use so it doesn’t strip of the natural moisture however I do apply body butter after shower. Overall it is a good product and if you love floral scents then this is a must have in your list. Yes, for people who love Rose fragrance, this is a good everyday shower gel which instantly makes you feel fresh. 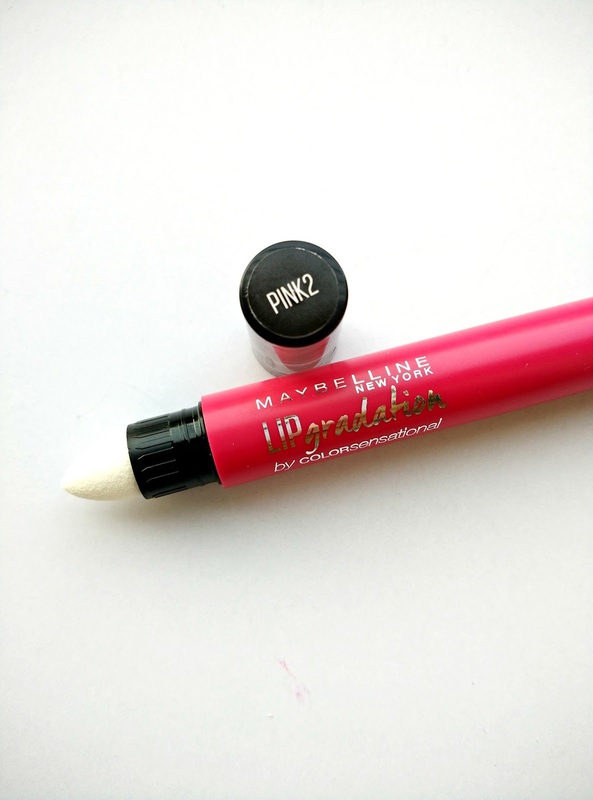 Today I will be reviewing Maybelline Lip Gradation Crayon which I carry almost everyday in my bag. I love how it feels onto my lips and brightens my look. 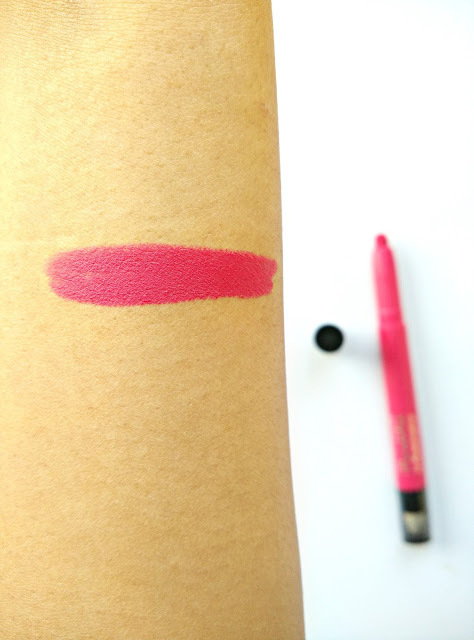 The shade I am reviewing is Pink 2 which is a bright pink everyday wear shade. Maybelline Lip Gradation Crayon is a double sided lip product which comes in a sleek plastic twist up packaging. This range has 8 bright matte shades to choose from. 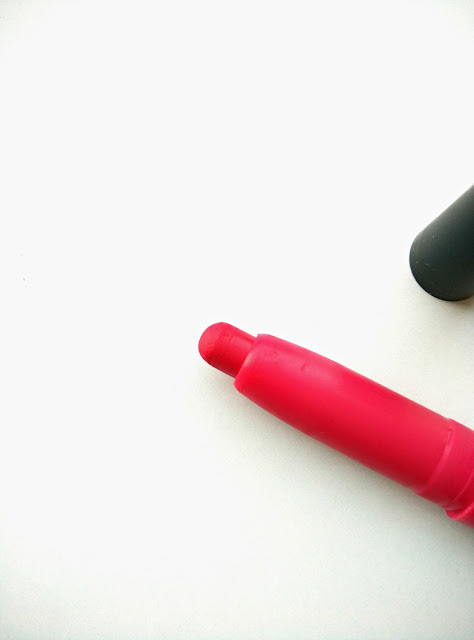 One end of this lip crayon has a sponge tip which can be used to blur out the color for a gradient look, to create ombre lips or to further mattify the shade. The color stick is slimmer as compared to a lipstick so it is easy for me to precisely apply it without using a lip liner. 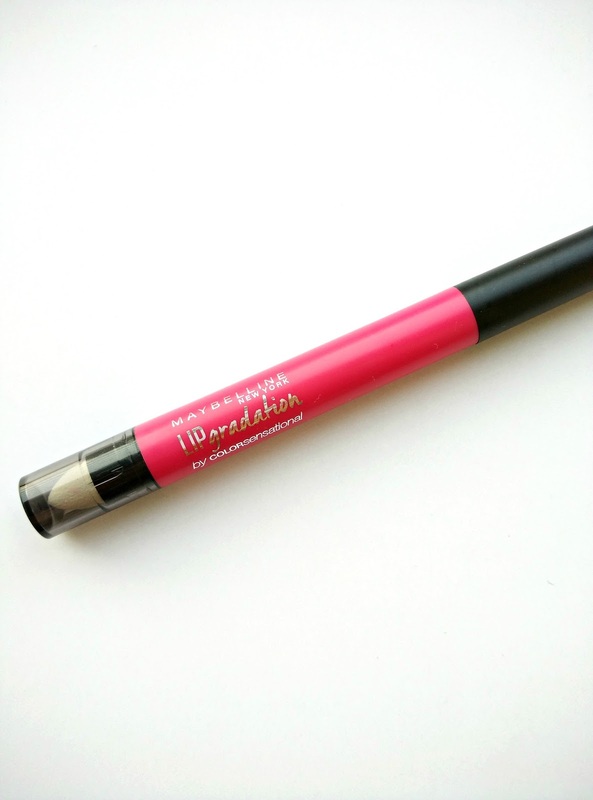 It has a smooth powdery matte finish which doesn’t dry out lips. Also it has a good pigmentation and the color stays for 4-5 hours. The shade Pink 2 is a vibrant pink which will suit every skin tone. It instantly brightens up my look everytime I apply it. Overall I think these are the most affordable, matte finish and highly pigmented lip crayons available in Indian market today. It has a great shade range with bright pinks, reds and oranges perfect for summers. Back to Blogging + Birthday Giveaway! The Peach Palette. Powered by Blogger.